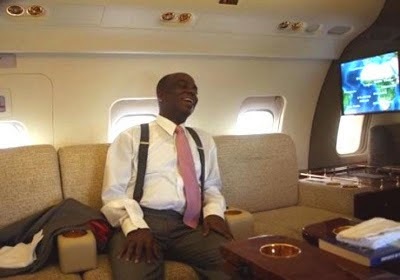 Bishop David Oyedepo, has reportedly been banned from entering Britain, following investigations into the finances of the UK arm of his church. Bishop Oyedepo, who recently turned 60, is the e general overseer of the Living Faith Church Worldwide, aka Winners Chapel. He is believed to be Nigeria’s richest pastor and is widely regarded as one of the richest televangelists in the world. According to SaharaReporters, a British government source confirmed the ban, saying it arose from preliminary investigations by Britain’s Charity Commission into the church. The commission determined that "monies donated to Bishop Oyedepo’s church for charitable purposes were funneled to Nigeria to fund the preacher’s flamboyant lifestyle." SR says this information confirms an earlier report. I don't trust SR on this. Papa Oyedepo has been to the UK in the past 3 months.